Meghan Markle and Prince Harry joined the Queen to honor young achievers from the Commonwealth at the Buckingham Palace. Harry's role as Youth Ambassador for the multination body made this event a priority for him. Just off a solo trip to Lesotho, he looked happy to be meeting with the members of the Commonwealth he would be working with directly in the future. And, just as he promised in April when he took up the role, he had Meghan by his side the whole time. 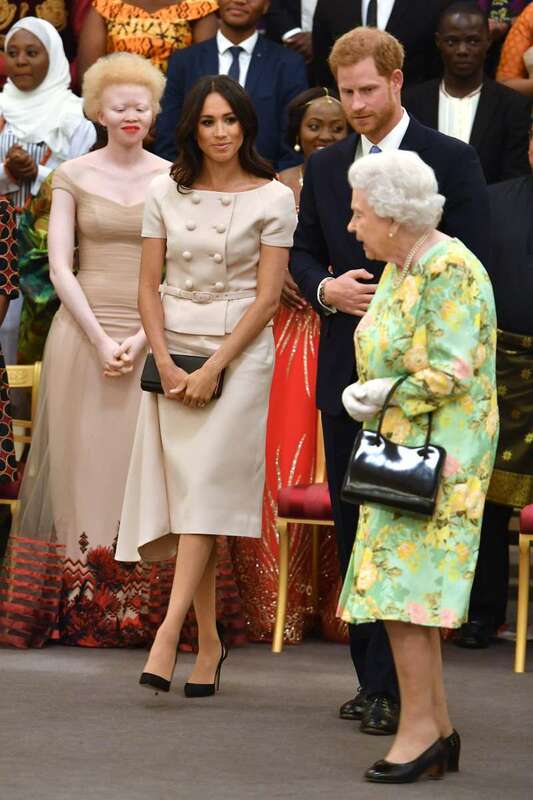 She showed up in a neutral Prada dress and got to hang out with the Queen for their second event together. 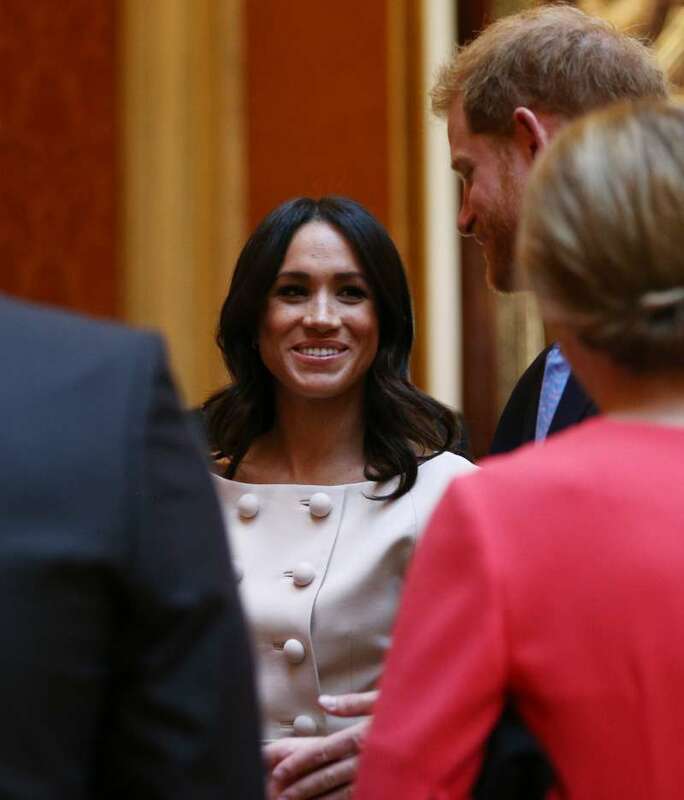 It is becoming quite obvious that the monarch and Meghan are becoming friends. They shared more than a few laughs, as Harry cracked up the crowd at Buckingham Palace with his speech. Apparently, he's a natural at giving speeches. 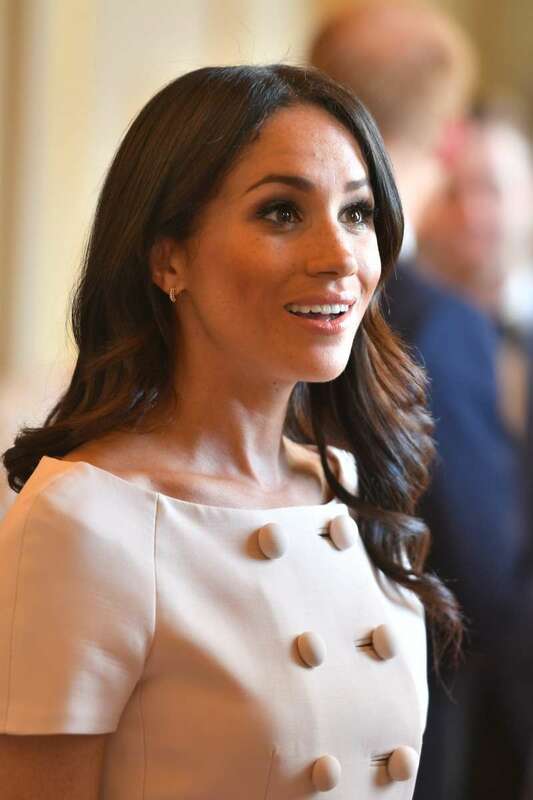 Although, the three royals seemed to be having the best of times, people were quick to point out a new faux pas by the Duchess of Sussex. 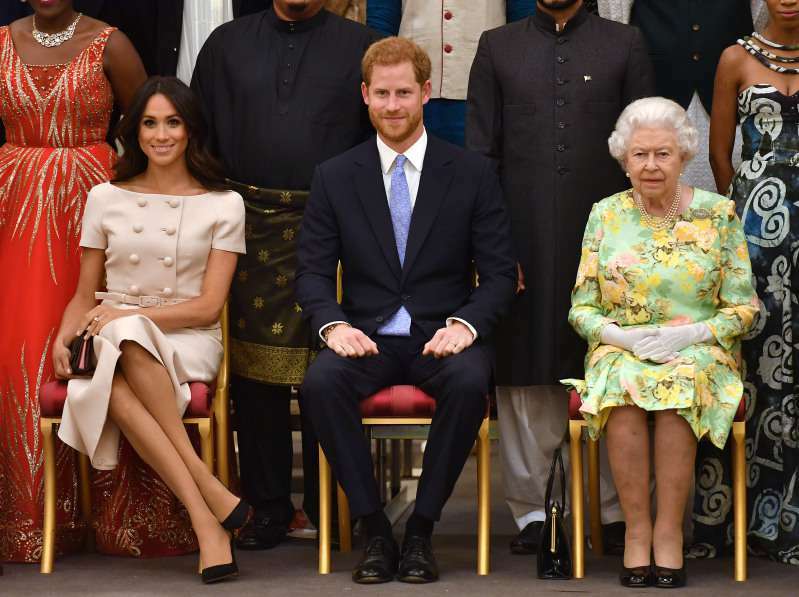 Evidently, Meghan had chosen to cross her legs at the knee instead of at the ankle, before slanting them to one side. Not a few royal enthusiasts called her out for this, but the Queen did not seem to mind. Are the enthusiasts a little too hard on the duchess?